The Kumbh Mela draws lakhs of pilgrims over the course of approximately 55 auspicious days to bathe at the sacred confluence of the Ganga, the Yamuna, and the mythical Saraswati. Prime Minister Narendra Modi Sunday said he hoped sanitation will be maintained along with reverence at Kumbh Mela in January, saying it will send a positive message far and wide. In his monthly ‘Mann ki Baat’ radio address, the last this year, he said this time much emphasis is being laid on cleanliness during Kumbh. “If during the course of this event sanitation prevails along with reverence, then it will lead to a positive message reaching far and wide,” the Prime Minister said. He said, Kumbh Mela is also a huge medium of self discovery, where every visitor experiences a unique feeling and learns to look at the worldly things from a spiritual perspective. “This can be a huge learning experience especially for the youth,” he felt. 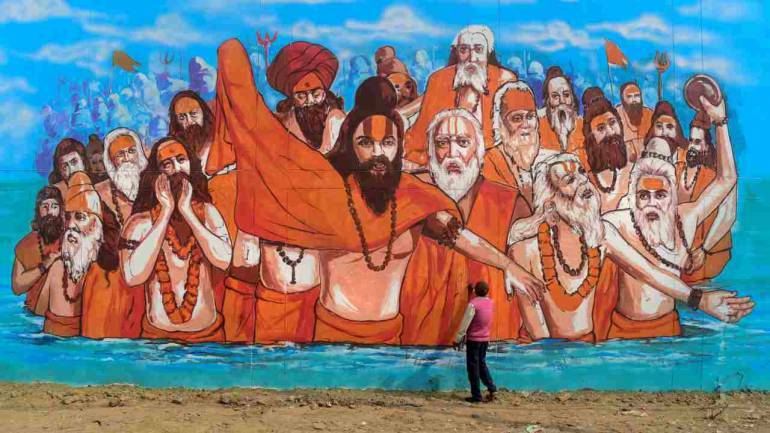 This entry was posted in Kumbh and tagged Kumbh Mela.